Romania 1963 MNH Mi 2145-2152 Sc 1546-1552 Domesticated birds. HUNGARY - 1988. 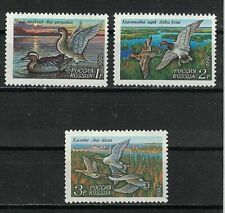 Wild Ducks set, block of 4 - mint never hinged. 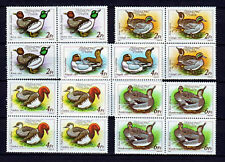 SOVIET UNION RUSSIA 1992 Birds Ducks. Set of 3. Fine USED/CTO SG6368/6370. Complete USED/CTO set of 3 in fine condition. Retains gum, so CTO. IRELAND,SCOTT # 1027, FINE USED. Netherlands Antilles, Scott# 1036, mint se-tenant block of ten, post office fresh, original gum, Never Hinged, VF. 2019 Scott catalog value $15.00 US.